For years, Providence photographer and sculptor Scott Lapham has taught art to teens and young adults. Looking to “have some kind of response to gun violence that I thought would be positive,” in September 2015, Lapham launched the “One Gun Gone” project, which is being featured in an exhibition at Providence’s Pop Up Shop, 233 Westminster St., through at least Jan. 26. 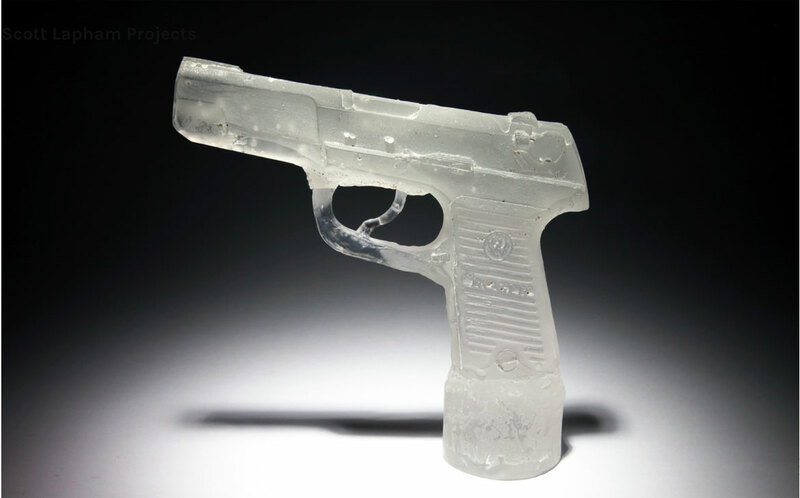 They’ve cast guns out of crayons (“Children are being affected by learning about gun violence too early”) and translucent glass (“We think of a gun as aggressive and powerful; we think of glass as brittle”). They’ve made gun-shaped functional candles (“We wanted to make a sculpture about why people were being murdered in the first place”). 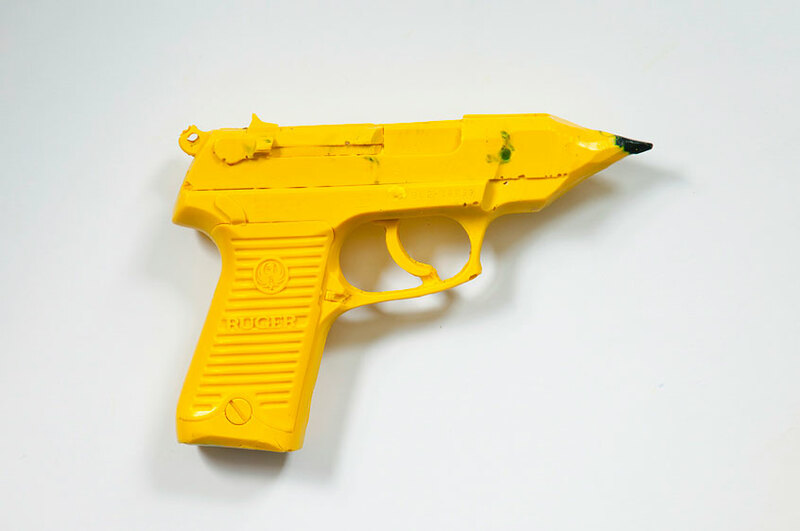 They’ve molded crayons into guns that resembled pencils—to say education can reduce gun violence, but also seen as speaking about school shootings. 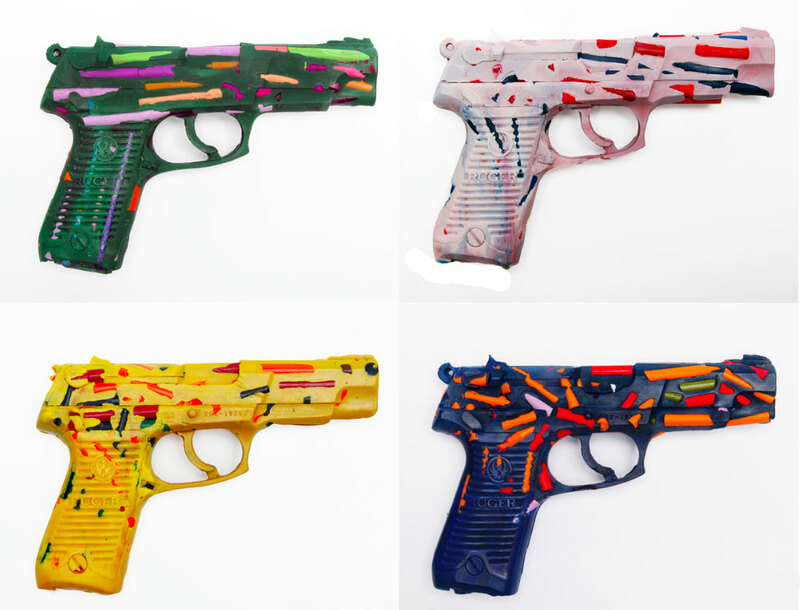 They’ve given crayon guns to teams of high school students and grown up artists to transform into their own artwork.